I’m sure I must have seen this film as a kid. I’m of the generation that had a local video store in walking distance when this was either a new release, or still relatively fresh on the shelves. Yet, I don’t remember it at all. I’m kind of glad about that, because it made this watching just like the first time. Scott (Michael J Fox) is a relatively normal teenager. In love with a popular girl, playing basketball with his far-below average team and hanging out with his kooky mate (obligatory for an eighties film, from what I can tell). Then things start to go odd – his temperature rises, hair begins growing in strange places… yup, he’s a werewolf. But not just when the full moon appears – whenever he wants. When he’s on the basketball court, he’s a star, and suddenly the team is winning, he’s popular and things can only go his way. Then other stuff happens. (I’m sure not many people would get upset by a spoiler from a film this old, but I’ll still stop there). 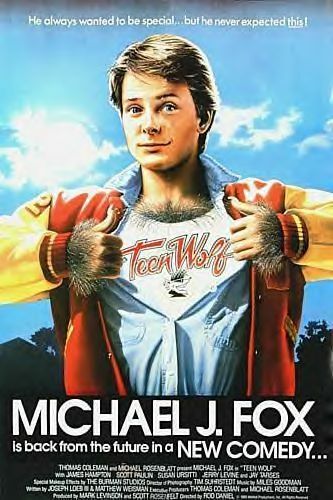 Michael J Fox is fabulous as always, and if you love the eighties, you’ll love it. If not, I think you’ll find it a total waste of time with poor make-up and effects and very little to keep you entertained.